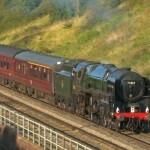 Euston-Northampton-Chester & return: Euston; Althorpe; nr Litchfield; Camp Hill, Nuneaton. Bristol-Par & return: Beam Bridge; Whiteball; Tigley; Rattery; St Germans; Draw Woods; East Largin Viaduct; Hemerdon; Burlescombe; Whiteball. 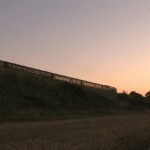 Southend-Gloucester & return: Baulking; Uffington; Sapperton. 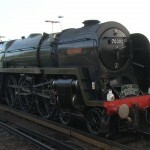 Southall-Bramley-Weymouth & return: Parkstone; Popham (15th Aug); Sonning Cutting. 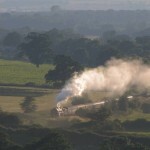 Euston-Oxford-Worcester-Kemble-Paddington: Sonning Cutting; Yarnton; Combe; Frampton Mansell; Wantage Rd. 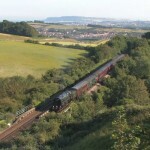 Bristol-Yeovil-Weymouth & return: Melbury Bubb; Upwey to Bincombe Tunnel; Cole; Corston. 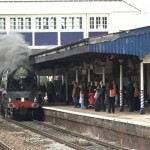 Bristol-Plymouth & return: Bristol Temple Meads; Dawlish; Dainton; Hemerdon; Westleigh. Bristol-Par & return: Beam Bridge to Whiteball; Dainton; St Germans; Draw Woods; Liskeard; Powderham; Silverton; Burlescombe; Bridgewater. 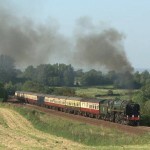 Paddington-Newbury-Bishops Lydeard & return: Crofton; Stert, nr Devizes; Manningford Bruce; Pewsey. 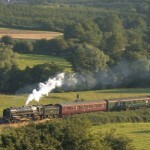 Poole-Salisbury-Bristol & return: Lockerley; Wylye; Upton Scudamore; Petersfinger, Salisbury. Paddington-Evesham-Worcester-Kemble-Paddington: Shipton-under-Wychwood; Standish Junction; Sapperton Tunnel; Bourton; Wantage Rd. Victoria-Oxford-Worcester & return: Goring; Oxford. Victoria-Southampton-Salisbury-Yeovil & return: Wandsworth Town; Byfleet & New Haw; Basingstoke; Steventon (Hants); Tisbury; Wardour; Salisbury.